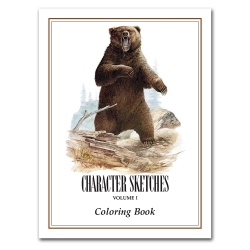 Each section of this Character Sketches, Volume I begins with a captivating “read–aloud” nature story that introduces the character quality being taught and continues with interesting facts on the featured animal’s characteristics and physical features. 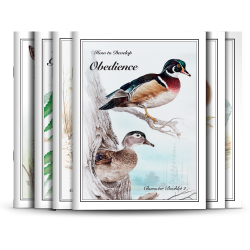 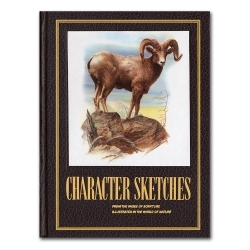 This is followed by a story from Scripture that illustrates the character quality, along with background information on the individual or situation in the story, which is then summed up in a “character sketch.” Generously illustrated with stunning lifelike watercolor and pencil drawings, this oversized book (9 1/2” by 12 3/4”) will be treasured and enjoyed for generations. 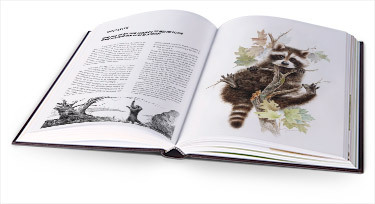 In Character Sketches, Volume I, you will learn about animals such as the great horned owl and how it demonstrates loyalty, and the raccoon and how it displays initiative. 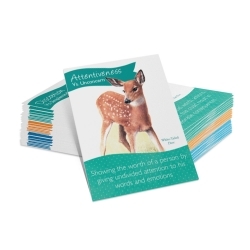 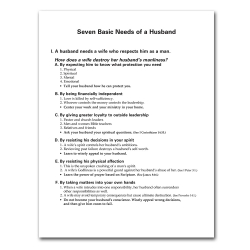 You will also discover from Scripture how people like Daniel showed decisiveness and Stephen exhibited determination. 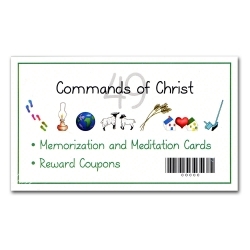 Dimensions: 12 3/4", 9 1/2", 1 3/4"